A few weeks ago I saw quite a few posts showing twisted easel cards and I couldn't wait to try one for myself! Do you like? 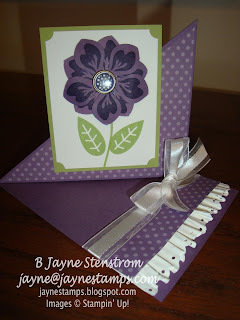 My card was made using the Build a Blossom stamp set and Blossom Petals Punch. 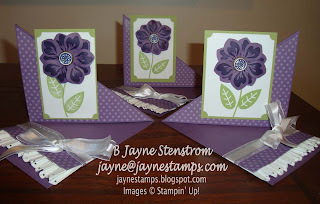 I know I've mentioned it before, but I just LOVE when Stampin' Up! comes up with punches and stamp sets that coordinate. It makes things so much faster and easier when you're stamping or scrapbooking. The colors used are Perfect Plum and Certainly Celery. 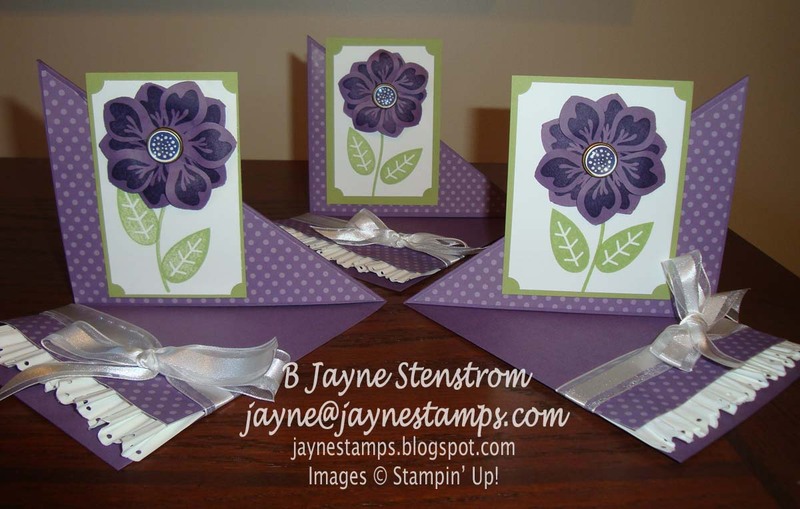 My friends Judy and Donna were here when I made my card, so we all made identical cards. The fold is a little different depending on which way the card was scored, but otherwise they are all the same. So I was thinking that this would be a good type of card to make at my next Wow! Cards Class. What do you think? Would you want to make one of these with me? I just need to come up with a date for my class.